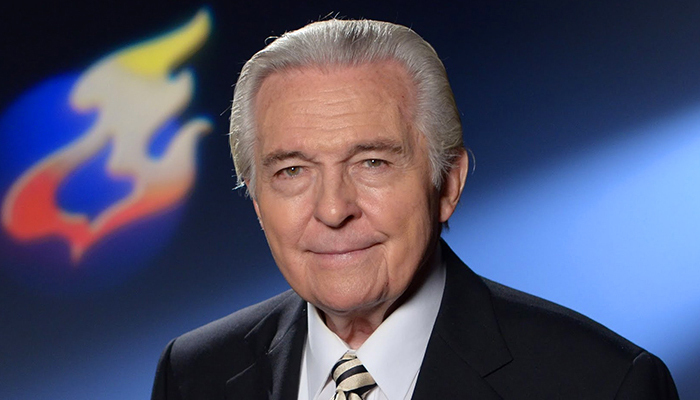 Is Jack van Impe a false prophet? Yes, Jack Van Impe is a false teacher. He preaches Sunday-keeping instead of the Sabbath (see Diabolical Doctrine: Sunday Is the Sabbath). Jack has praised or tacitly supported the Pope and the Catholic Church in times past, though not the present one, it seems. Van Impe deals in sensationalism, which none of God’s true servants do; he declares speculative prophecies and is found to be in error on all of them, like Hal Lindsey and one of the so-called Kansas City prophets who just died recently, John Paul Jackson, for examples. Men of God are not showmen. Jack is, along with his wife, Rexella. Their program is pretentious. Listen to the one introducing it with his show-biz voice. Jack sells religious merchandise, and he names his ministry after himself, unlike any of God’s teachers, evangelists, apostles, and prophets… the list goes on. Jack and Rexella are still in the religious system of the beast, having his mark. If that weren’t so, they wouldn’t enjoy the fame and success they do in mainstream orthodox nominal Christianity. That said, Jack definitely teaches some good things, which is what makes false teachers all the harder to discern and walk away from. He’s taking a stance against Warren’s The Purpose Driven Life doctrine, which is diabolical. 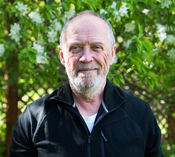 Jack speaks against Islam and its “Jesus,” “Isa,” a deception that is snaring so many naïve people. Jack speaks against those who try to honor or accommodate Muslims, as does Rick Warren. He openly speaks against President Obama, a great deceiver who has pretended to be a Christian and friend of Israel, but is a Muslim who despises Israel. For much more information to help you tell truth from error, see The True Marks of a Cult and Diabolical Doctrines. Jack Van Impe is not included? Am I overlooking it, or is he considered a ‘true’ teacher? Charlie, why would you assume that because someone isn’t on our false teachers list he must therefore be true? Is there really any question in your mind whether Van Impe, according to the criteria laid out at The Path of Truth, would be categorized as a false teacher? Are you being helped to discern truth from error by what the Lord has given us at our website, or are you stumbling on the Stone the builders rejected?